Keep the kids busy with these fun and Easy Thanksgiving Crafts for Toddlers. Even better, most of these fun Thanksgiving crafts for toddlers can be made using items you already have at home! 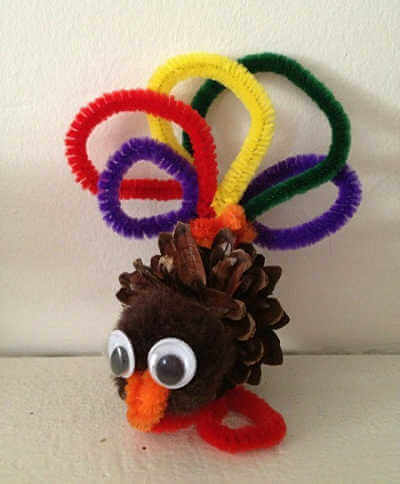 Thanksgiving crafts are a fun way to pass the time during the holidays with your toddlers. They are so easy and so much fun! When Halloween ends, my kids can’t wait to start doing some fun Thanksgiving crafts. You can make most of these easy Thanksgiving crafts for toddlers with items from around your house. Plus, they are a great way to let your kids get creative. I love seeing how each child designs and colors their projects. 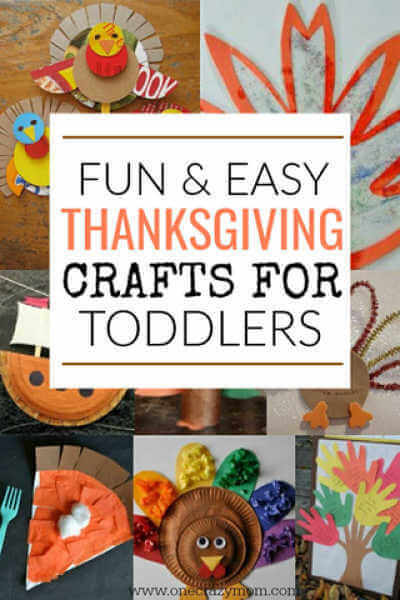 There are ideas for everyone including Thanksgiving crafts for 2 year olds! I’ve put together a list of some of the best Thanksgiving crafts for your toddler to do this holiday season. You don’t need any fancy supplies or tools from the crafts store for these easy projects. These are all simple and easy and many use items you already have at home. Learn how to make glue and save some money with these crafts. Here are 20 Easy Thanksgiving crafts for toddlers! Kids will love making the classic hand print turkey. If you have several kids, layer the different hand prints for a fun look. You will love seeing all the different sizes of “feathers”. 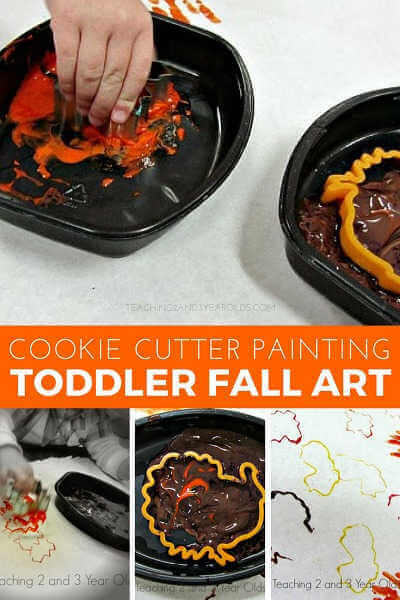 Make shapes with cookie cutters and kids can have a blast painting while learning at the same time. This is a fun craft that you can change all year long based on the season or holiday. 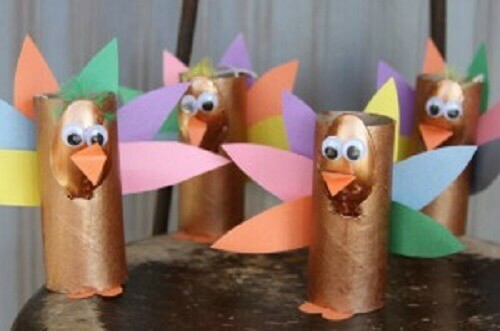 Save left over toilet paper rolls to use for turkey craft time! I love crafts that use items we already have. 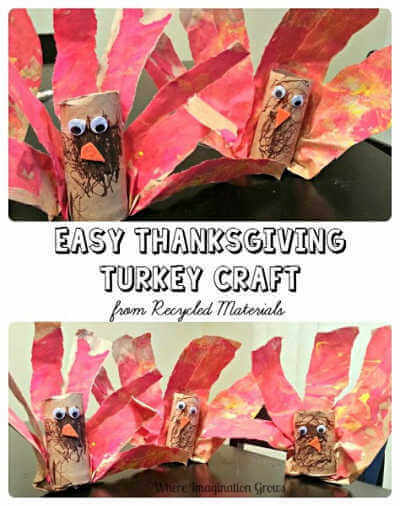 Recycle material to make this fun craft for Thanksgiving. 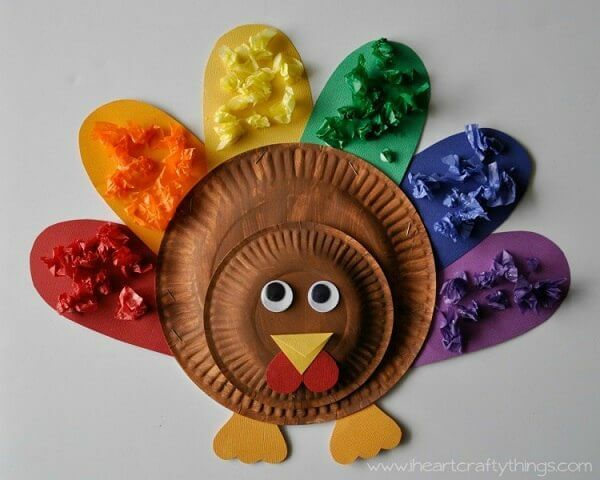 Kid’s will have so much fun making turkeys with paint and other fun supplies. Use little squares of paper to make a mosaic turkey. Cut up paper you already have and this craft will cost next to nothing! 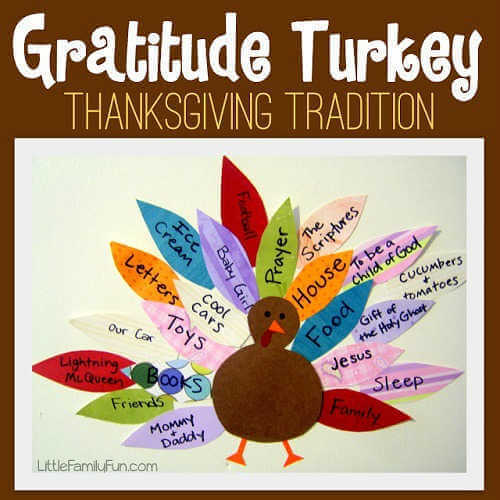 Encourage your children to be thankful with this Gratitude Turkey.. Each feather can be used for a different thing they are thankful for. 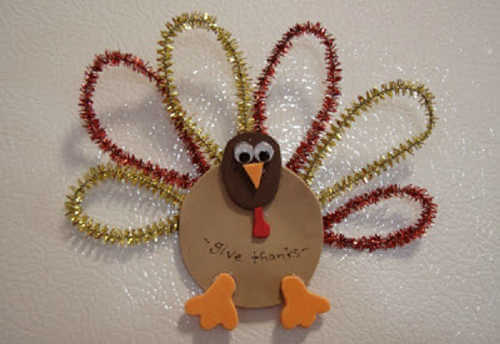 Pipe cleaners make this turkey extra sparkly and special. This is the perfect magnet craft. 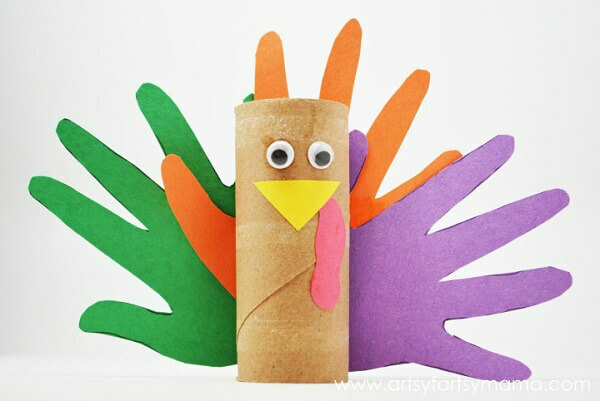 Googly eyes and contact paper come together for this cute little turkey! Kid’s will love adding the glitter. Get the kids to collect pine cones from the yard. You can use them for the body of the turkey! Nothing is wasted when you use cereal boxes for these turkeys! So fun and you could even have a little puppet show. Toilet paper rolls get a new look with a little paint and construction paper! In no time, kids will have made a turkey for display. This has to be the cutest craft! 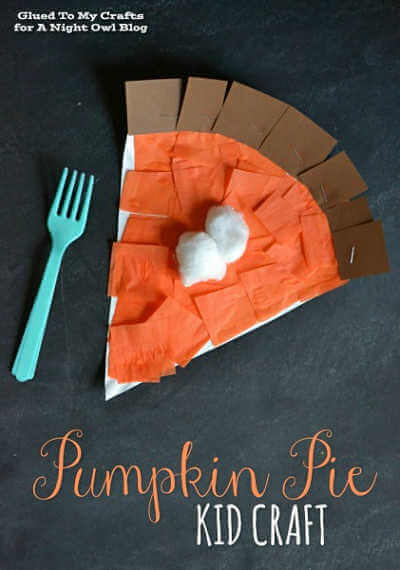 Make pumpkin pie slices with orange paper and top with cool whip cotton balls! Match the paper to the right color feather! Kid’s will learn about matching, colors and more in this fun craft. 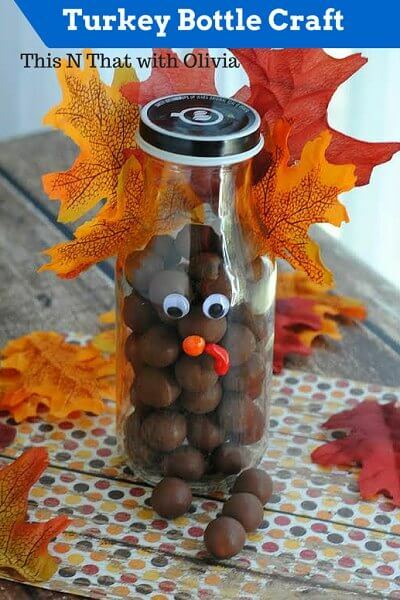 Use leftover bottles like Starbucks and such to make Turkeys! This is such a fun way to use old bottles. 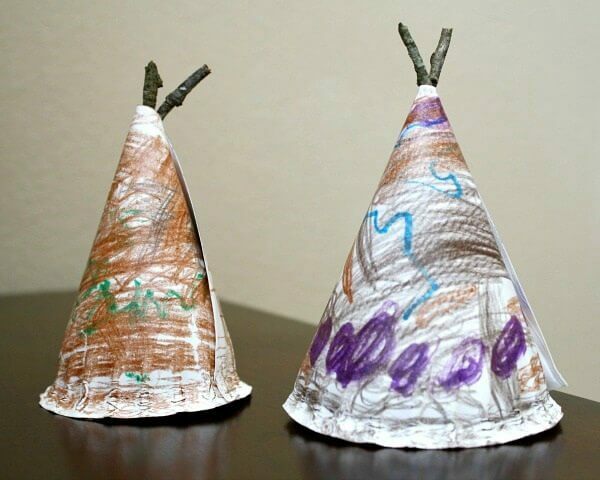 Make a teepee with paper plates. Kids can decorate them any way they want! 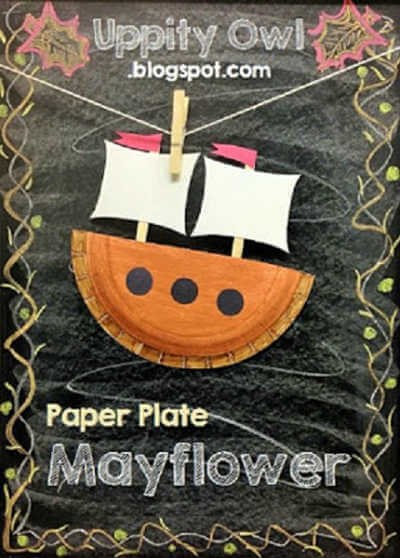 Help kids learn about the Mayflower with this paper plate craft. Such a great learning tool! Create a family Tree of Thanksgiving. 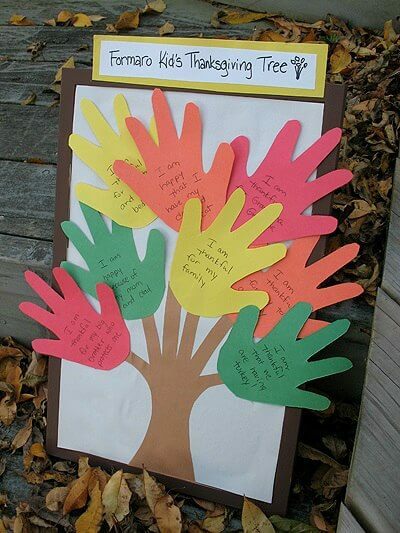 Use your child’s hand print for the leaves and let everyone write something they are thankful for. You could even frame this and keep it for years to come. 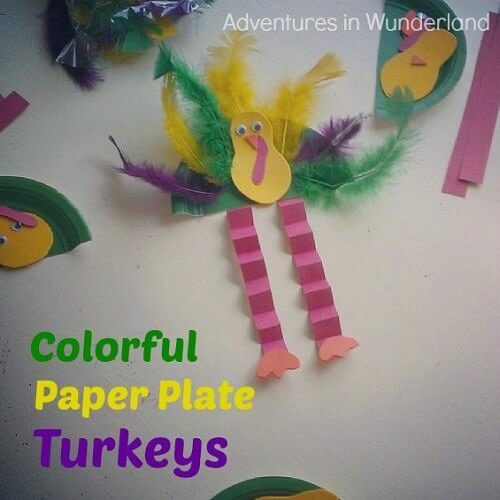 Paper plates and feathers make the cutest turkey ever. Use construction paper to make fun legs. Super cute! 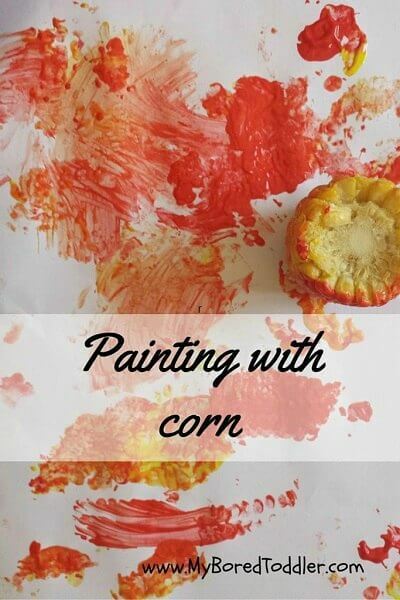 Get lots of pretty designs when you use corn to paint. Each child will have a different masterpiece that is their own! This craft is simple and perfect for toddlers. Each child can help glue the feathers all around. 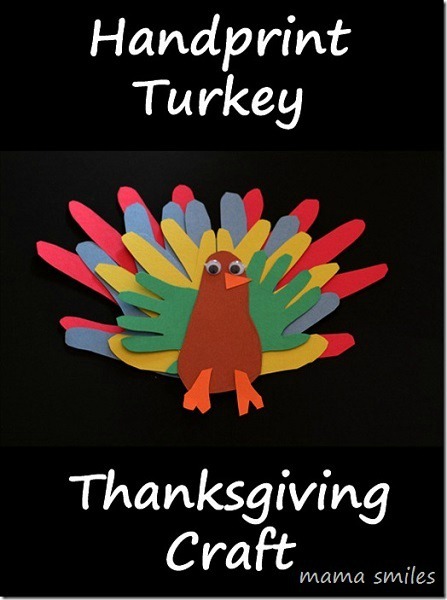 Try these Easy Thanksgiving crafts preschool ages and more! They look so fun and should be a huge hit. The entire family is sure to have a blast joining in the fun. You will have so much fun doing these crafts and getting the house festive for Thanksgiving! Plus, the kids will have something to do over Thanksgiving break from school! No more bored children in need of an activity because they will have a blast creating these fun crafts. From napkin holders to cool paper crafts and an adorable turkey, there are Thanksgiving crafts for everyone to do. Some of these crafts for kids could even be made while you are cooking Thanksgiving dinner to give you a few extra minutes. 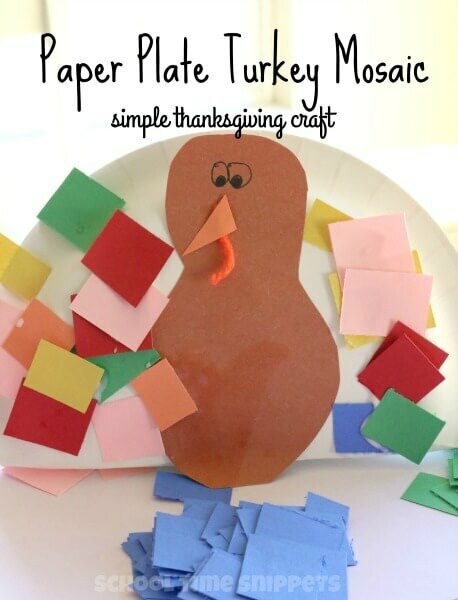 Everyone always has a blast making turkey crafts from a paper bag or leaves. 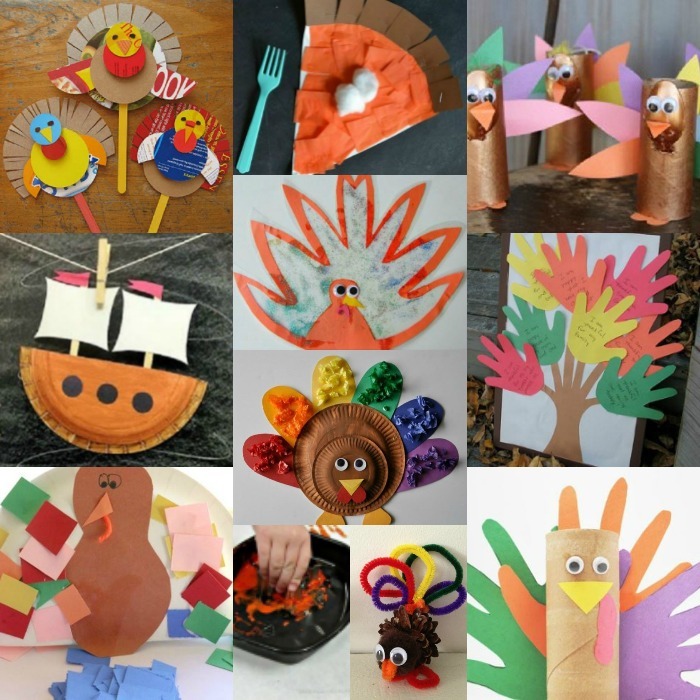 Let us know which of these Thanksgiving arts and crafts for toddlers you plan to try. There are so many fun ideas to choose from. Whatever you choose, these activities will be a blast. 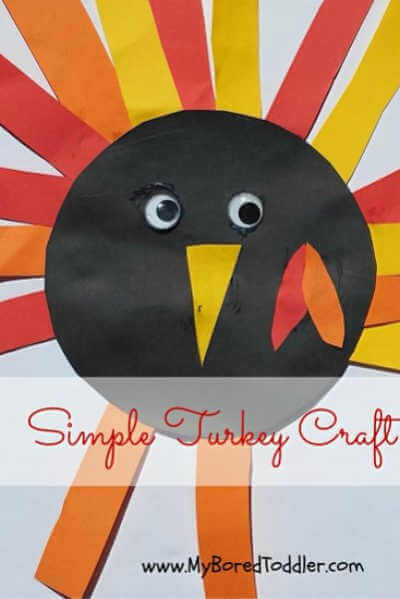 Each of these crafts for kids are perfect for Thanksgiving activities. 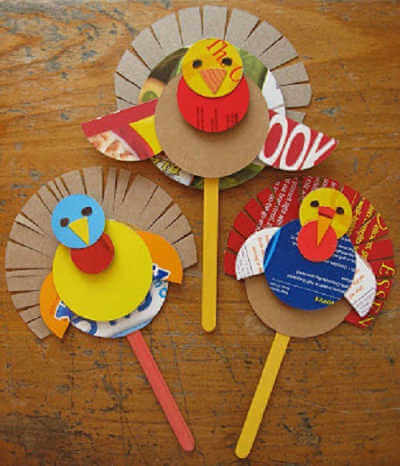 Choose a paper craft from one of these Thanksgiving crafts for kids. You can easily do these crafts without much work or time. Sounds like a winner around here for sure! Everyone will love these Thanksgiving craft for toddlers and these fun printable thanksgiving crafts. If you are looking for Easy Thanksgiving Sides, we have 20 Easy Thanksgiving Side Dishes sure to impress while being very simple to make! 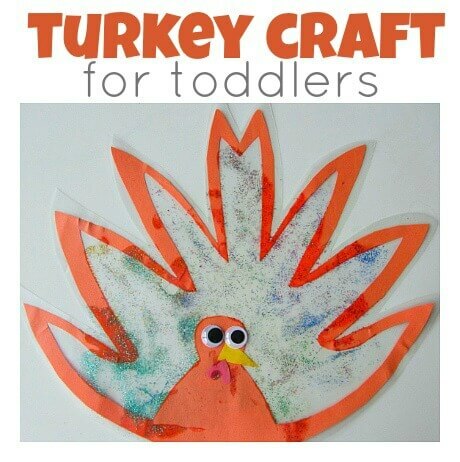 These Thanksgiving craft ideas for toddlers are so easy and inexpensive. You will love how easy and simple these ideas are. No need to spend tons of time or money on these simple ideas. The kids will have a blast and your entire family will have made lots of great memories while making these fun crafts. We also have compiled a huge list of Fall Crafts for Kids and 15 Thanksgiving Craft Ideas. Many of these will take you through Fall, Halloween and even Thanksgiving! I really think the simpler the better. Kid’s just want to spend time with us and some of the best memories are the simplest ones.